Crimeboss was featured in the Homegrown Hotlist section of Yahoo! Internet Life magazines December 98 issue. 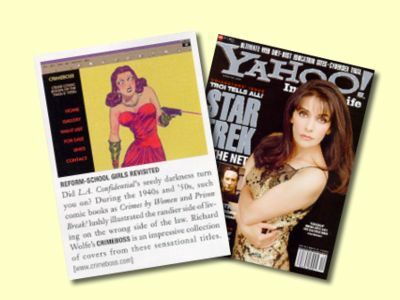 Crimeboss was the top pick on Paper Magazines August 1998 Cyber Hot List. Special thanks to intrepid surfer Laura (last name unknown) for pointing this out to me.